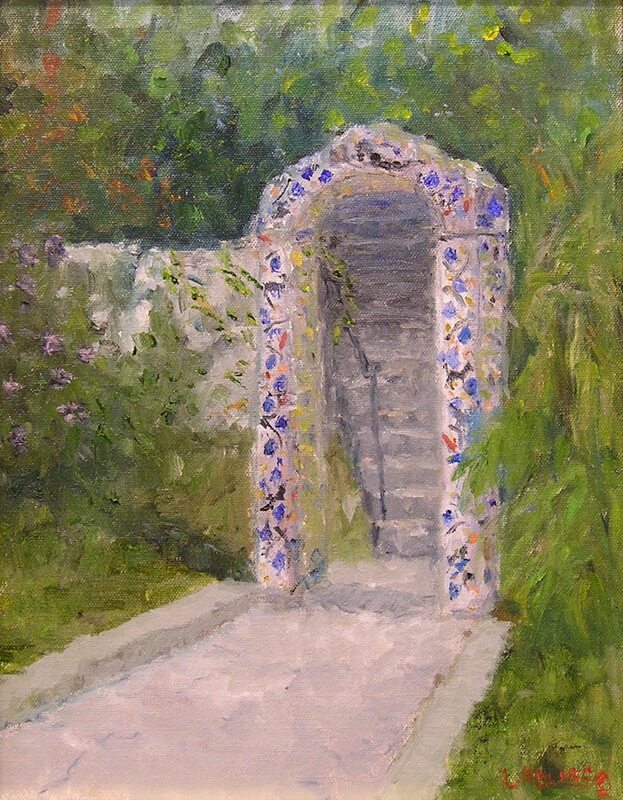 "Debi's Mosaic Arch at Marjorie K. Rawlings Cottage"
to see a larger version. 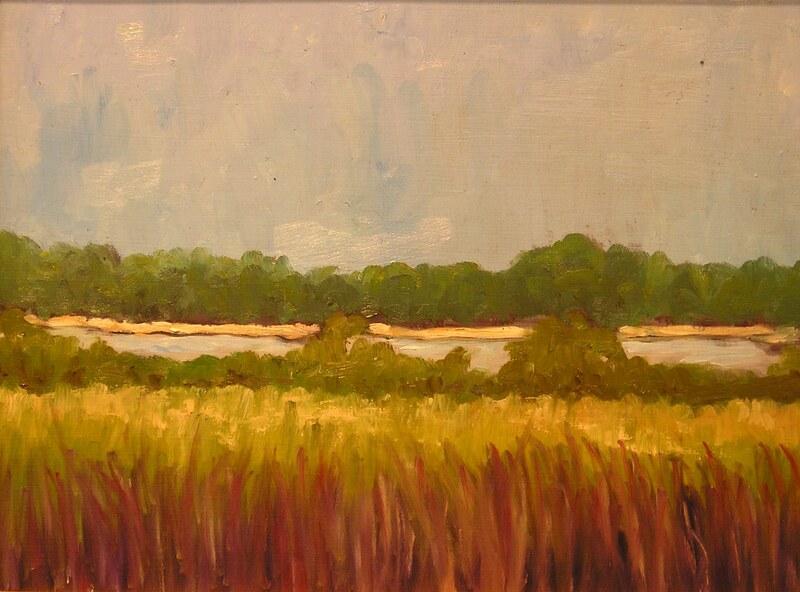 "As a plein air artist, I have an opportunity to interpret the atmosphere and feeling of a place, put it onto a surface with color and composition, and let others see it as well. When it works it's a thrill, when it doesn't , it's a learning tool...pretty exciting!" 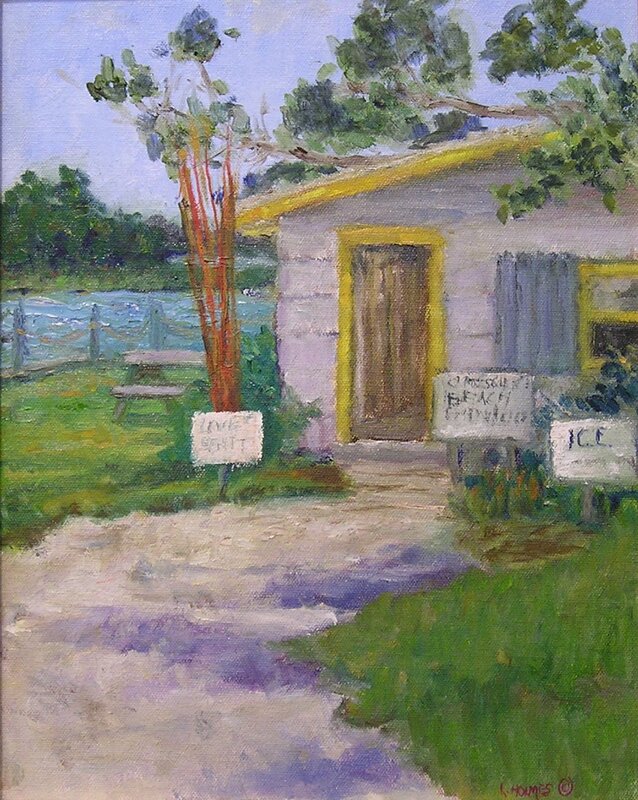 Linda is an award winning artist whose work reflects her love of French and American Impressionist styles and of plein air and studio painting. 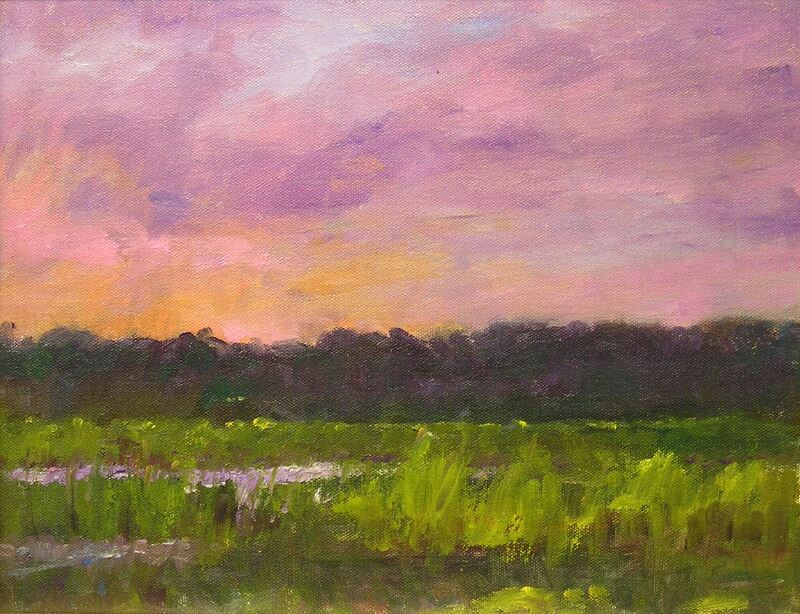 Her preferred medium is oil but she also enjoys pastel and watercolor. Her participation in shows and exhibits led to other opportunities which include teaching oil painting, offering workshops and occasionally judging shows. 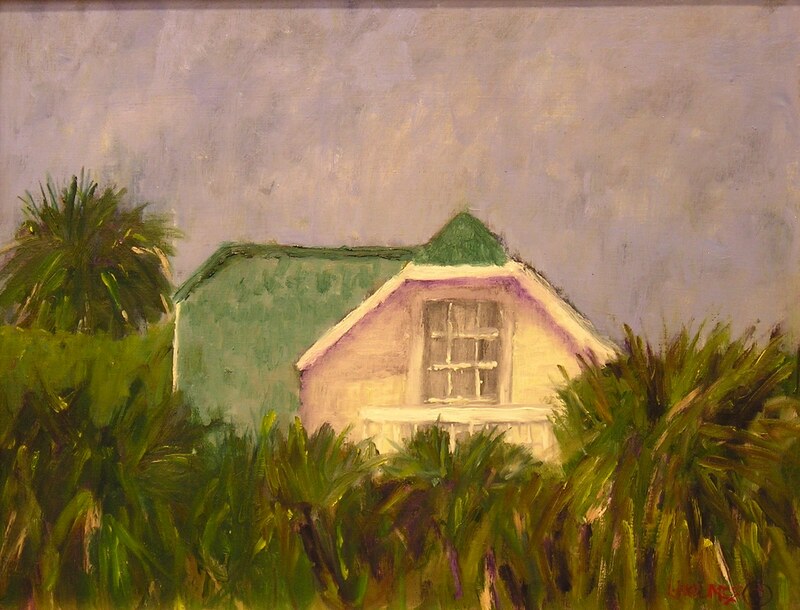 She is a member of several art organizations including Oil Painters Of America, International Plein Air Painters, Landscape Artisists International, local plein air groups and paintouts, former member of the Board of Directors of the St. Augustine Art Association and National League of American Pen Women, St. Augustine branch. Her paintings are included in collections in the US, Europe and Africa. 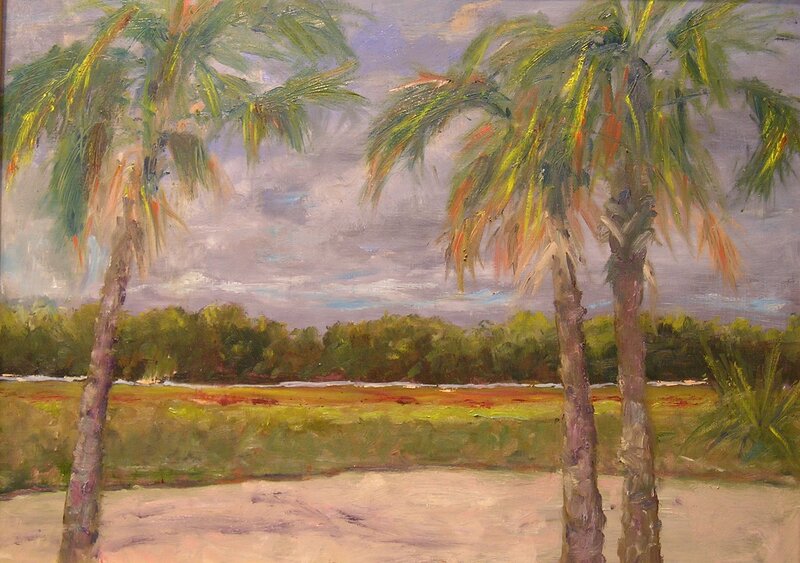 She also shows in galleries in St. Augustine and Jacksonville, FL and has completed private and corporate commissions. Copyright © 2008 Island Fine Art. All Rights Reserved.